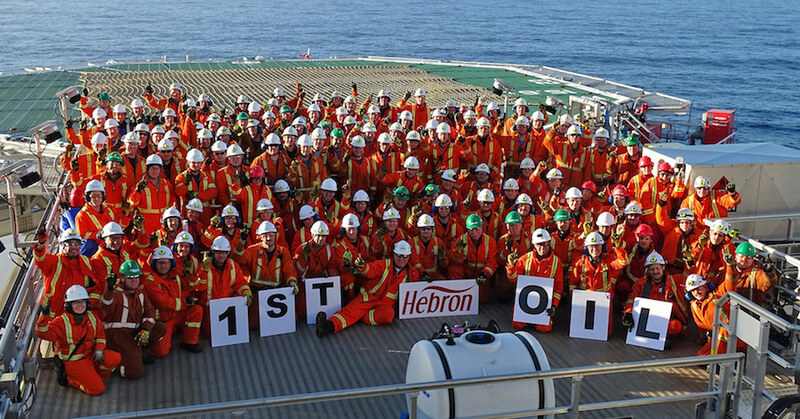 Hebron oil field off the coast of eastern Canada has produced its first oil, project operator Exxon Mobil said on Tuesday, which is expected to boost to Atlantic Canada's output after years of weak crude prices. At its peak Hebron, will produce up to 150,000 barrels per day (bpd), with roughly 31,000 barrels of oil per day net to Suncor, which has a 21% stake in the project, located in the Jeanne d'Arc Basin, 350 km southeast of St. John's. 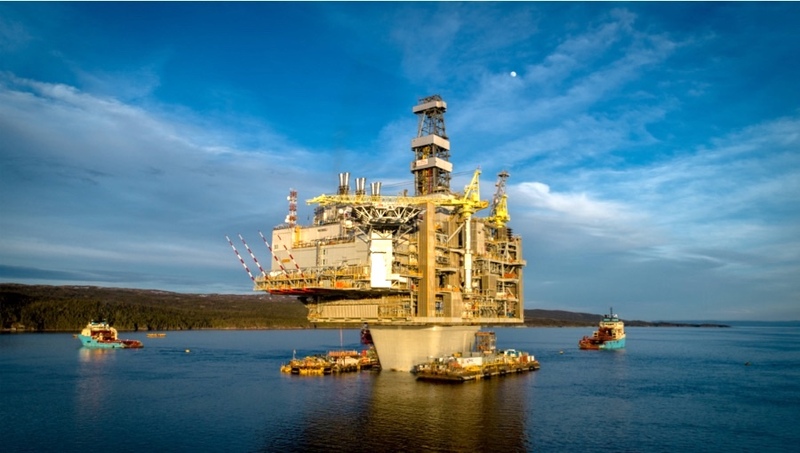 Hebron is expected to help Atlantic Canada offshore production rise 44% to 307,000 bpd by 2024, according to estimates from the Canadian Association of Petroleum Producers. The platform is located 350 kilometres (200 miles) off the coast of Newfoundland and Labrador in depths of 92 metres (300 feet) and the oil field, first discovered in 1980, is estimated to contain more than 700 million barrels of recoverable resources. ExxonMobil Canada Properties (35.5%) is the operator of the Hebron project. Its other joint venture partners —other than Suncor — are Chevron Canada Limited (29.6%), Suncor Energy Inc. (21%), Statoil Canada Ltd. (9%) and Nalcor Energy-Oil and Gas Inc. (4.9%).